Agilysis produce a number of mapping products that are either built-in to online data tools, form a part of bespoke reports such as Area Profiles, or support national projects for private sector clients. 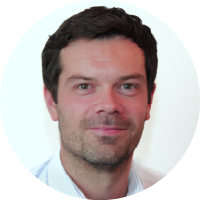 Identifying risk on the road network can be useful to local authorities, telematics providers, highways management teams and building developers. Over recent years, the Agilysis team have provided route analysis for a number of highway authorities and have also provided risk data to clients in the telematics industry. 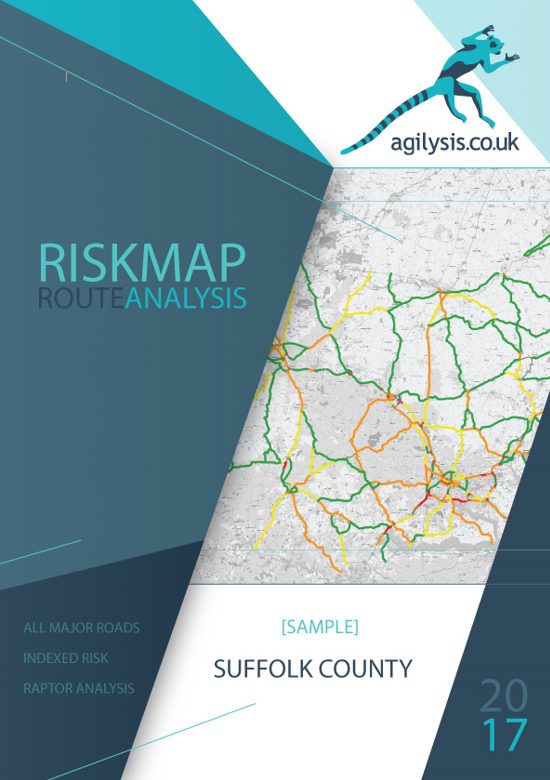 Agilysis are proud to unveil new, combined route analysis and predictive modelling reports which use cutting-edge analysis methodologies to identify high-risk roads in local authority areas. The reports, together with the associated mapping files, help authorities identify where the highest collision rates are on their network. The top 10 sites are then processed the using the Newcastle University RAPTOR tool to predict mean future collision numbers, taking into account trend and regression to mean. This process smooths outs ‘blips’ in the data and delivers an estimated future collision rate assuming no changes are made to the route. 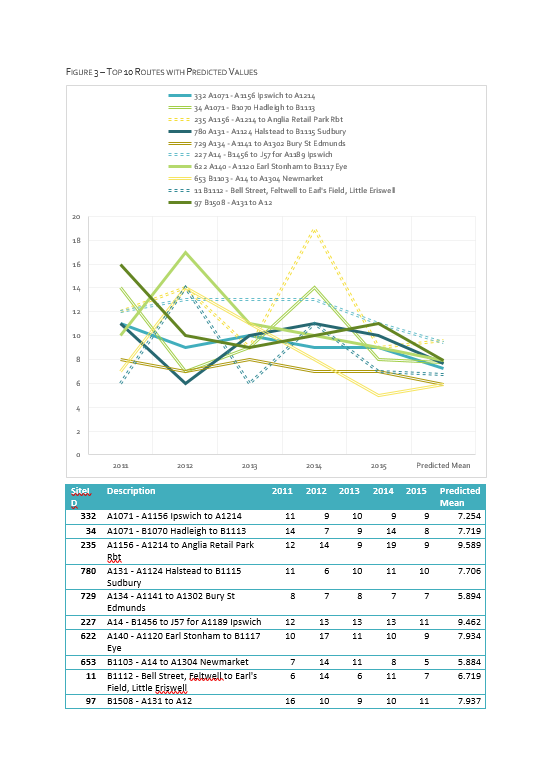 Click on any of the images above to download a sample report which contains links to the online map. The reports can be delivered to the client within two weeks and are priced based on the length of road analysed, making them affordable for authorities no matter how large or small they are. GIS outputs can be provided either for use on local systems or through embedded web maps. 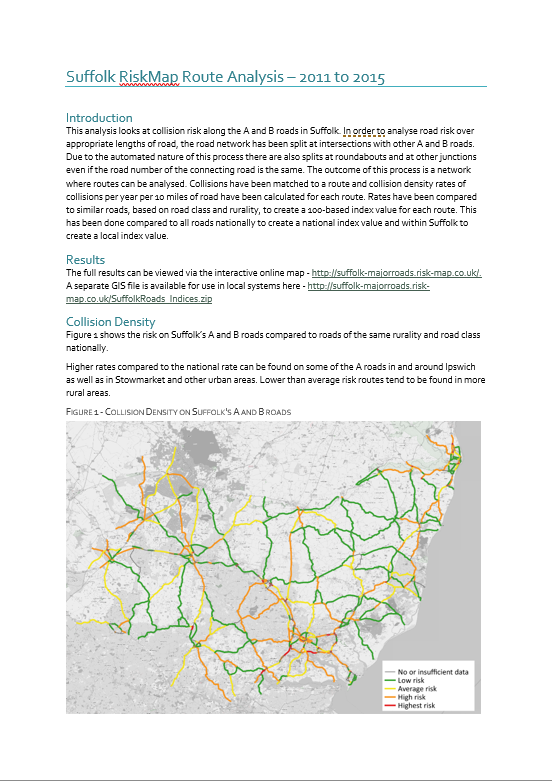 The reports offer an excellent introduction to road risk on local networks and are an alternative to standard cluster analysis methodologies. 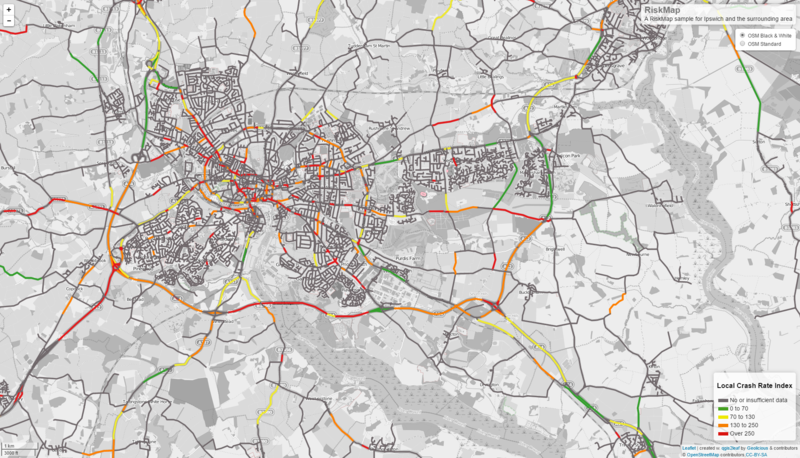 Agilysis also offer bespoke reports and maps which allow regional analyses, a greater number of sites processed for predictive analysis, as well as filters for vehicle types and vulnerable road users.